What better way to create lasting memories than by honoring or memorializing your friends and loved ones with an engraved brick that will become a part of this new patio. For the perfect Mother’s Day, Father’s Day or graduation present, consider a gift that will make a difference … a gift that will help SIFAT continue its ministry to improve the daily lives of the poor throughout the world. 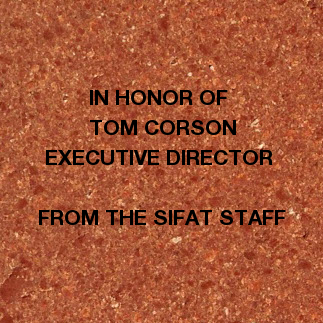 Please order your commemorative brick today to help reach our goal of the 1800 bricks needed for SIFAT’s new patio! Celebrate a special event in someone’s life, honor a friend or family member and memorialize someone special. Bricks are available in two sizes and will be used to create a new patio and fire pit next to Mad Indian Creek on the SIFAT campus. Click here to order your brick online or click here to download an order form to return to SIFAT with your check payment. Large bricks are great for listing family members’ names or for a Sunday School class or civic group!